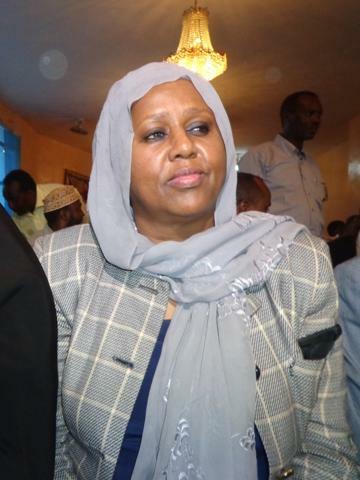 Fauzia Yusuf Haji Adan is set to become Somalia’s first female Foreign Minister in newly elected Prime Minister Abdi Farah Shirdon’s cabinet. Her appointment along with that of Maryam Qasim as Social Development Minister in the Somali ministerial cabinet while “historic” for Somalia, follows the recent trend across most of Africa where an increasing number of women are acquiring more access to positions of power. African women have certainly come a long way. This much was underscored by the Mo Ibrahim Foundation’s 2012 Index on Good Governance published on 15 October 2012 which revealed that considerable progress has been made in the area of women’s rights, at least in terms of women in positions of power. In the area of parliamentary representation, African women are relatively well represented. Cross country comparisons by the Inter-Parliamentary Union show that in Rwanda, women make up 56% of the parliament, 42% in both Senegal and South Africa and 36% in Tanzania. These figures are higher than France’s 26%, the UK’s 22% and the United States’ 17%. In Nigeria, one of President Goodluck Jonathan’s campaign promises in 2011 was assuring women 35% representation in in the Federal Government. There are scores of women in various fields making waves all across the continent as well. ARISE Magazine this week, published its list of 100 women shaping modern Africa across various fields – Business and Law, Politics and Activism, Culture, Sport and Media and Science and Technology (Full list HERE, PDF). The glass ceilings are definitely coming down creating space the blooming and blossoming of potential! Society is richer for it too! SORRY, SPOTTED A TYPO AFTER I POSTED. CORRECTED COMMENT READS – “The glass ceilings are definitely coming down, creating space for the blooming and blossoming of potential! Society is richer for it too”! She seriously need our prayers. May God protect her against Alshabab. You are so awesome! I do not believe I’ve read through a single thing like this before. So great to discover another person with some genuine thoughts on this subject. Really.. thank you for starting this up. This website is one thing that is needed on the web, someone with some originality! I leave a comment whenever I appreciate a post on a website or if I have something to valuable to contribute to the discussion. Usually it’s triggered by the fire displayed in the article I read. And after this post Another Milestone For African Women | Zainab’s Musings. couple of questions for you if it’s allright. Is it only me or does it look as if like some of the remarks appear like they are written by brain dead folks? 😛 And, if you are writing at additional social sites, I’d like to follow anything new you have to post.